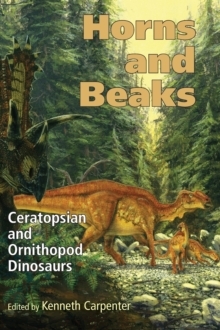 Horns and Beaks completes Ken Carpenter's series on the major dinosaur types. 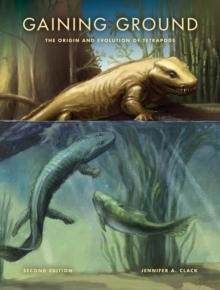 As with his volumes on armored, carnivorous, and sauropodomorph dinosaurs, this book collects original and new information, reflecting the latest discoveries and research on these two groups of animals. 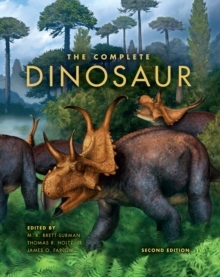 The Ornithopods include Iguanodon, one of the first dinosaurs ever discovered and analyzed, and perhaps the most common and best-documented group, the hadrosaurs or "duckbilled dinosaurs." 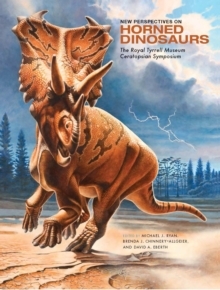 The Ceratopsians include Triceratops, known for its distinctive three-horned skull and protective collar. 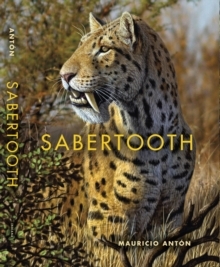 Contributors are Michael K. Brett-Surman, Kathleen Brill, Kenneth Carpenter, Benjamin S.
Creisler, Tony DiCroce, Andrew A. Farke, Peter M. Galton, David Gilpin, Thomas M. Lehman, Nate L. Murphy, Christopher J. Ott, Gregory S. Paul, Xabier Pereda Suberbiola, Albert Prieto-Marquez, Bruce Rothschild, Jose Ignacio Ruiz-Omenaca, Darren H.
Tanke, Mark Thompson, David Trexler, and Jonathan R.